Drs. Dallas and Debra Stout are among this year's honorees who will be celebrated at Orange County’s 30th anniversary National Philanthropy Day luncheon presented by The Association of Fundraising Professionals, Orange County Chapter later this month. National Philanthropy Day is a special day set aside for the purpose of recognizing the great contribution philanthropy makes to our society – and to honor individuals, businesses, and support organizations that are active in the philanthropic community. National Philanthropy Day was the brain child of local philanthropist and attorney Doug Freeman. After five years of work and hundreds of letters, the idea gained support from a number of community organizations nationwide. In 1986 President Ronald Reagan proclaimed November 15 as National Philanthropy Day. Since then, in communities throughout the United States and Canada, folks have joined together to honor the spirit of giving in their own regions. The Stout’s nomination letter read in part: “For over 20 years now the Stouts have very humbly and quietly worked behind the scenes to help an impressive variety of nonprofit agencies as well as community networks and coalitions. Conservatively speaking, to date they have donated well over several hundred thousand dollars to programs across the County & that figure does not include their immense pro bono work which would eclipse that number if tallied”. “Ever since our early college days”, said Dallas, “philanthropy has been an important part of our lives and careers. The Orange County non-profit community is unique in that the people and programs are very well connected. We have found that there are always great coalitions and networks doing wonderful collaborative work in the community. At this point we look at our philanthropy as a way of giving back to a community that has given us so much as well as working towards a better tomorrow for everyone”. The Stout's are co-owners of DoctorS Nonprofit Consulting. They specialize in the needs of OC non profit agencies. Their combined background of over 40 years working in the Southern California non-profit, business, education, management and coalition-building environments at all levels gives them a unique perspective. The Stouts provide a broad array of consultation services to non-profit and grassroots groups, coalitions, and agencies throughout Orange County. They have lived, worked, volunteered, served and donated in Orange County for over 21 years. Both are on the faculty at California State University, Fullerton and the University of the Rockies. 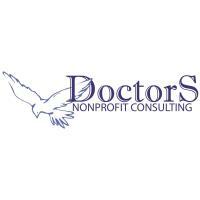 For more information on DoctorS Nonprofit Consulting, visit DoctorSConsulting.org.